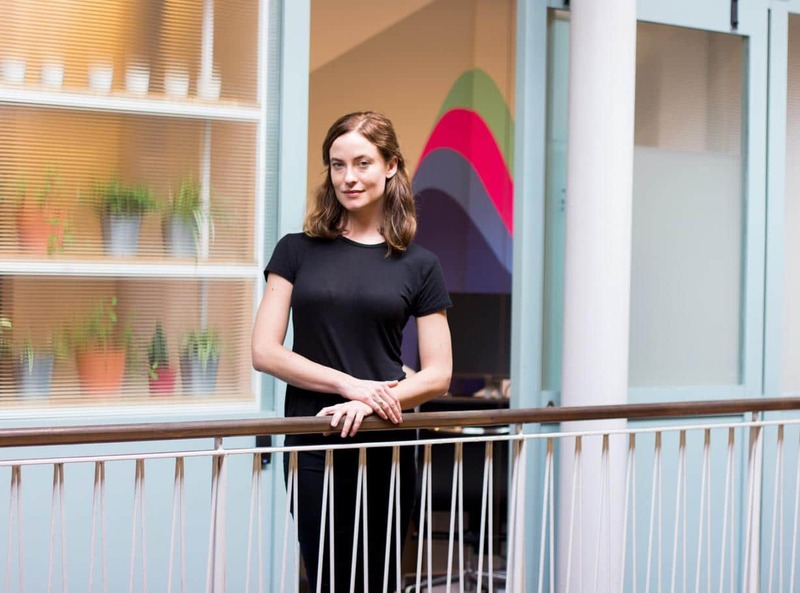 Big Data for Humans Chief Marketing Officer for Asia Pacific, Helena Wasserman, has been involved in organisations like the Clinton Foundation, Ashoka, and Techstars — and all this before turning 30, as her inclusion in this year’s Forbes’ 30 Under 30 roundup indicates. Sara M. Watson recently sat down with her, and they covered everything from data insights to hiring tips. Find out why you might run into Helena at The Working Capitol on the weekends—it’s not because she’s a workaholic! Sara M. Watson: Big Data for Humans (BD4H)—that’s a really interesting title for a company. Helena Wasserman: The reference to humans came from our mission to democratise big data and make it easy to use in every day marketing decisions. Historically, software that analyses customer data is designed for people with technical skills. We designed The Customer Graph with the marketer in mind, so we could empower that person to use all the customer data sitting in their CRM and drive value from it. The idea is to make it easy and quick. SMW: So you don’t need to have a PhD in Statistics? HW: Ah no! Extracting data from the software is as easy as shopping online! Select the customers you want to contact, add them to your cart, and send them an email—that’s it. Retailers have little resources and big ideas. We’re focused on helping them personalise marketing quickly and cost-effectively. SMW: I’m interested in BD4H’s graph approach. What does it change? HW: Graph theory allows you to analyse customers based on similarities beyond age or geography, and to derive more dynamic insights that are immediately actionable. If you want to target your customers with customised content, your insights need to be more granular; graph theory gives you that unprecedented richness. Netflix, Spotify, LinkedIn, and Facebook’s technology is derived from the same theory. SMW: What did you take away from your time at [accelerator and investor] Techstars? HW: I was hired as an associate and came on board to help companies with business development and marketing. Before Techstars, I’d always thought, “Oh, I need to have a groundbreaking idea!” if I were to start a company. But at Techstars, I learned that it’s not all about your idea. They look at the people first, then the market. The idea comes third. They’re investing in you as a person; they have to believe in you – your business idea might change or evolve. And that’s where I met the BD4H founders, too. SMW: BD4H started in the UK. What brought you to Singapore? HW: Well, AirAsia came to us to develop their data science capabilities and were so impressed by the speed at which we worked that Tony Fernandes, Air Asia’s founder, decided to become an investor. So off we went to expand into Asia! We’re serving all of Asia Pacific’s markets and are just getting started, so it’s pretty exciting. HW: Actually, Peter [Ellen], our BD4H co-founder, heard about The Working Capitol. I think the team of The Working Capitol has done a fantastic job. Soothing colours, beautiful plants, lots of natural light… These things really make a huge difference to your mood and level of productivity. I remember far too well my days working in dark cubicles even with fantastic organizations like the Clinton Foundation, so it’s amazing to see how far we have come to re-create the work environment. The Working Capitol even has that right balance—you can work on your own but also have conversations with people when you want to. I’m a huge fan. SMW: You said earlier you come in on the weekends, too? HW: Yes, Florence at The Daily Roundup downstairs [jokingly] tells me “Go home, lah!” when she sees me, but I love this space. It’s perfect to brainstorm, to write, to think and research, even to book flights! The Working Capitol gets me in a creative mood—it’s a special place. SMW: Do you have anything that you wish you knew, right off the bat when you arrived in Singapore? HW: When I first got here I wasn’t going outdoors at all. It was just focusing on the business. I wish I knew earlier about all the amazing hikes you can do here—like the ones in MacRitchie Reservoir. There, only fifteen minutes away [by car from The Working Capitol], I’m in the jungle, surrounded by monkeys and in complete silence. Singapore’s so urban, you forget that you’re on an island. SMW: What do you look for when you’re hiring? HW: We look for smart people who can get stuff done, reflect on what’s working and what isn’t, and adapt fast. We also look for people who understand the culture of our business, which is one with no or little ego. We are lucky that Singapore attracts lots of smart, ambitious people with a taste for adventure in business and life! SMW: Anything that’s worked well for you so far in hiring? HW: Investing in LinkedIn Recruiter instead of spending time posting on all the different tech platforms. It’s a bit on the expensive side but worth it, because you get hundreds of applicants in a couple of days who are specific for your role. SMW: Do you have any influences that shape your approach towards doing business or management? HW: Our co-founder Peter has a great management and leadership style. He’s obviously a great businessman, having sold his last business to Oracle, but he is also just extremely kind, and always respectful. He understands how to motivate people and the importance of building a diverse business to generate creativity. I also really believe in bold business leaders who take action to preserve our planet’s resources, like [Bill] Gates—he just launched a fund to tackle climate change. Building a company for pure financial profit is a very outdated business model.